For months I’ve been reading press about this new mascara. I’m going to admit I’m a makeup snob, especially when it concerns lipstick and mascara. I tried Great Lash and was not thrilled with the results. I was skeptical – but after reading the article “5 beauty breakthroughs” in MORE magazine I allowed myself to be convinced and gave it a try. Double Extend mascara glided on my lashes, giving me a natural full lash effect. I was pleased with the results, although it’s fine for everyday – I plan on using it with my Yves Saint Laurent Faux Cils, especially on date night. This mascara gets a TEN! I got this yesterday and put it on today. It really gave me the full lash effect. Thanks Anita…. I’m happy you loved it!! 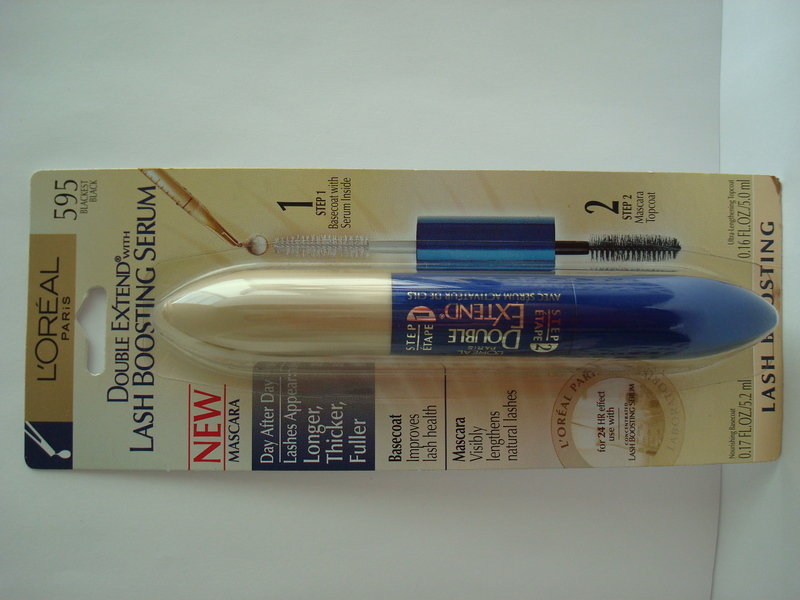 It does give a full natural lash effect….that’s why I doubled up on it…..now I need to just go out! !